Is live streaming going to take over? My bet (literally) is that most of the video we watch in 10 years will be live — whether a persistent connection with friends or co-workers, streams from the cameras of friends and strangers, or the increasing amount of pro entertainment that will be streamed live on the unlimited channels of YouTube, network carriers, or the web. It will be more unusual for something NOT to be streamed live than the alternative. A couple of weeks ago, I was talking to a friend about streaming. 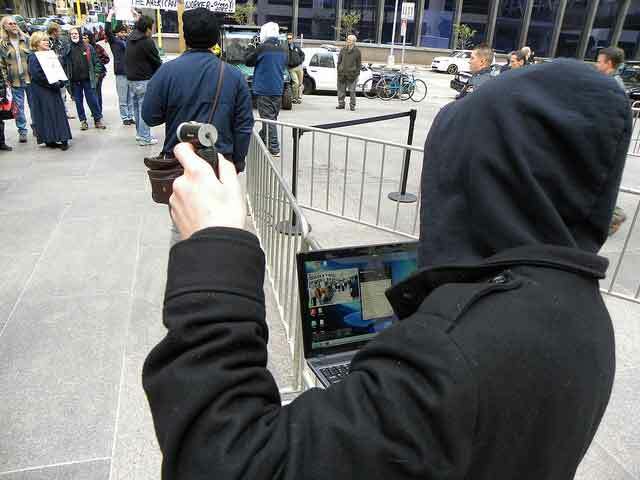 I was marveling how easy it’s becoming to beam a live video feed, anywhere, not only to a friend or a group, but, essentially, the entire world. The province of the network news team with satellite truck has now extended to anyone with a smartphone. I ranted that we’re only at the beginning of a process that will transform the way we watch moving images, not to mention what those images are and how we produce them. We are well clear of the world of television — where video meant sitting down in a living room and watching carefully scheduled, professionally produced “shows” — and now are about to move from our more fluid, DIY and YouTube-infused paradigm into something different: an explosion of video as its happening now. Whether the point is to share an environment with friends or co-workers for an extended period of time, to indulge in a slickly produced event enhanced by the knowledge that it’s live, or to drop in on the most compelling events on the planet at any time, more and more of what we see will be seen as it happens. Posted on March 27, 2012 Author robotchampionCategories defaultTags bet, events, google, live, movie, real-time, smartphone, sporting, steven levy, streaming, television, video, wired, youtubeLeave a comment on Is live streaming going to take over?